Even though SEGA focuses its attention on the games as opposed to the hardware nowadays, the company’s Dreamcast console lives fondly in the memory of those who had the pleasure of playing it. One of the most popular titles to land on SEGA’s last major console effort was Crazy Taxi, which tasked the player to pick up as many fares as they could within a set time while also pulling off various stunts. 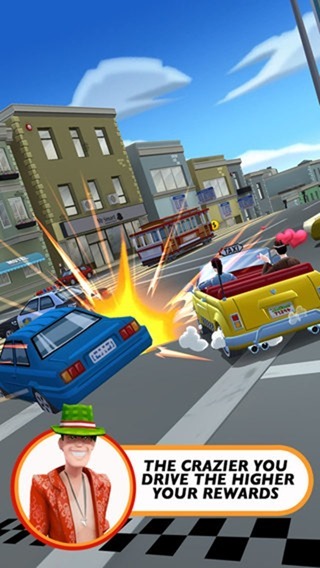 Like many games of times passed, Crazy Taxi has since been ported through to mobile devices, and after a successful run-out, Crazy Taxi: City Rush is now available to those rocking an iPhone or iPad. 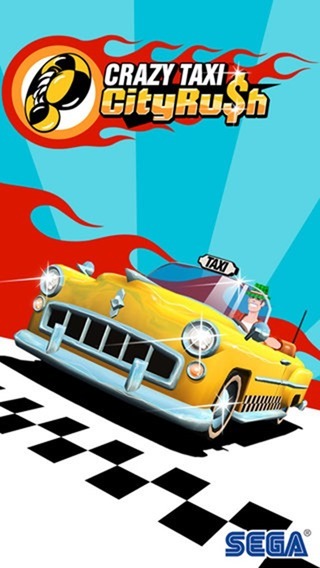 Crazy Taxi had about as much of a cult following as the Dreamcast itself, and although it has lived on post-Dreamcast through many a gaming arcade, it was the mobile re-launch that really brought the title back to the fore. With controls perfectly optimized for the touch-based environment, it was every bit as fun as the original, but with that nostalgic feeling having worn somewhat thin, we’re definitely ready for City Rush. The title was announced and teased many months back, and given that we got our first proper glimpse back in March, you may well have forgotten that it was coming. But after a fairly lengthy wait, Crazy Taxi: City Rush is now ready to play, and although some titles struggle to live up to the original, we’ve thoroughly enjoyed the past fifteen minutes or so we’ve spent giving it the test drive. 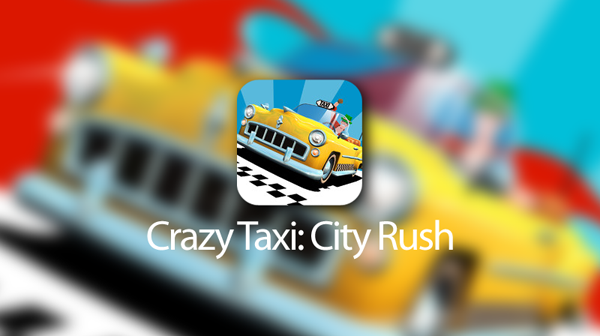 Even though the original run of Crazy Taxi spawned many installments, City Rush is not actually a port of any of the older games. In fact, it’s a completely new experience designed specifically for mobile devices, and if anything, we’d love to see other developers and publishers come through with some fresh content as opposed to simply porting games that we’ve already played to death. 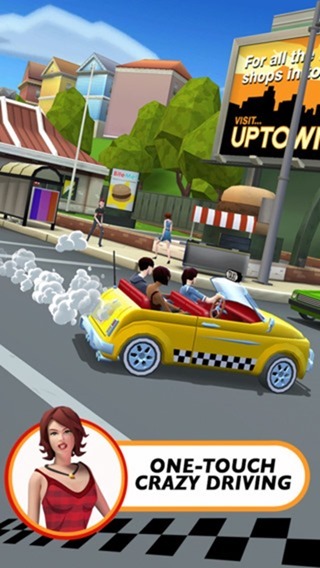 Crazy Taxi: City Rush is completely free to play, although as ever, you may want to pony up some cash for in-game content.